Since 2008 Sandra Brackert has been a nurse practitioner with the UCLA Sarcoma Program. 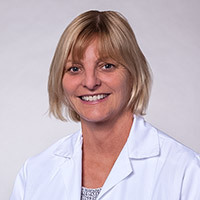 She graduated from UCLA School of Nursing with Oncology Nurse Practitioner’s program with a Masters Degree and is a Board certified Adult/Geriatric Primary Care Nurse Practitioner. Her patients are fortunate to benefit from her experience with managing the care of all types of Sarcoma, bone, soft tissue, and GIST, throughout all stages from newly diagnosed, undergoing treatment, clinical trials, surveillance, recurrent disease, and survivorship.